Important Registration Information - Please read First! NO REFUNDS AFTER April 21. * Requires additional use of registration system or Amazon. Colin E. Brench (M'80-SM'04) is currently a Principal Engineer at Amphenol High Speed Interconnects, in Nashua, New Hampshire, where he is responsible for the EMC aspects of high data rate (10 to 56 Gbps) interconnect schemes. He received his B.Sc. (Hons) in Electronic Engineering at The City University, London, in 1975, and has been particularly active in the areas of EMC, antennas, and shielding behavior since the early 1970's. Colin has presented numerous EMC workshops and training classes that embrace a broad range of topics including microprocessor packaging, printed circuit module issues, system design, and shielding. 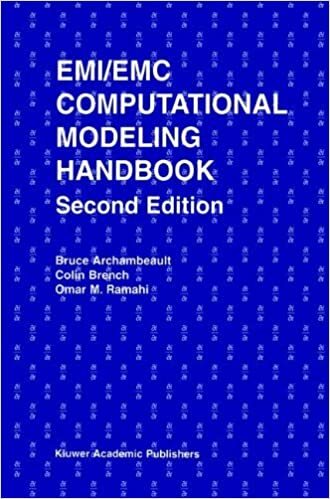 He is a co-author of the book, EMI/EMC Computational Modeling Handbook (Springer, 2nd Edition 2001), has authored over 20 technical papers and articles, and holds 12 patents for various methods of EMI control. Colin is a Senior Member of the IEEE, member of the EMC Society since 1980, and an iNARTE certified EMC Master Design Engineer. He was appointed a Distinguished Lecturer for the IEEE EMC Society for 2001 and 2002, and has given several seminars for various IEEE chapters and sections. In 2002 he was awarded the Certificate of Technical Achievement by the IEEE EMC Society for his contributions to the development of EMC modeling directed to understanding EMI shielding and antenna behavior. Colin has also been active in IEEE EMC-S standards, IEEE EMC-S Technical Committee 9 (TC-9), ANSI ASC63, and served 11 years on the IEEE EMC-S Board of Directors. This will look at the underlying physics of different topics; such as shielding, antennas, and coupling. Also the details of what is actually known will be considered. The correct application of the tools will be covered in this piece. Understanding the tools’ true capabilities to address a given problem and their limitations will be the focus. The importance of the engineer’s existing skills is a major component at this stage of a design. Validation of a design will include various measurements and the use of alternate design tools to confirm the design expectations. All of this finally comes together at the qualification stage, but by this point the EMC design engineer should know what risks exist and have backup plans in place. NOTE: breaks will be scheduled at the speaker’s discretion. Table-top displays (exhibits) will be open during registration, lunch, all breaks, and the reception. Access to the table-top displays is available during the technical sessions, but the displays may not be manned during those times. Hotel Information: Embassy Suites is offering a limited number of reduced rate rooms for $121. Internet, Pool, Cocktail Reception and breakfast buffet are included. You must mention "Group ID: EMC Fest 2018" to get this special rate and reserve your room by April 13. After which rooms and rates are subject to availability. The Embassy Suites Hotel is located 22 miles from Detroit Metropolitan Airport. From I-275 take the 7 Mile Road - East. Travel approximately 1/4 of a mile to Victory Parkway. Turn left on proceed approximately 1/4 mile. Embassy Suites will be on the left . Contact (734) 462-6000 to make arrangements. Airport shuttle is not available so plan a taxi or car to travel to the hotel.